A vigorous and continuous rise in sea surface temperature (SST) and land surface temperature has been caused by increasing greenhouse gas concentrations during the last century. Several studies have suggested that the direct response of land temperature to radiative forcing is much smaller than the response to SST anomalies induced by radiative forcing. The importance of oceanic warming in climate change research under a CO2-enriched atmosphere cannot be ignored. But what role does global oceanic warming play in winter Eurasian climate? Recently, PhD student Xin HAO and her coauthors from Institute of Atmospheric Physics, Chinese Academy of Sciences and University of Bergen and Bjerknes Centre for Climate Research carried out some research in which they focused on the contribution of global oceanic warming to winter Eurasian climate change, using a series of model simulations. 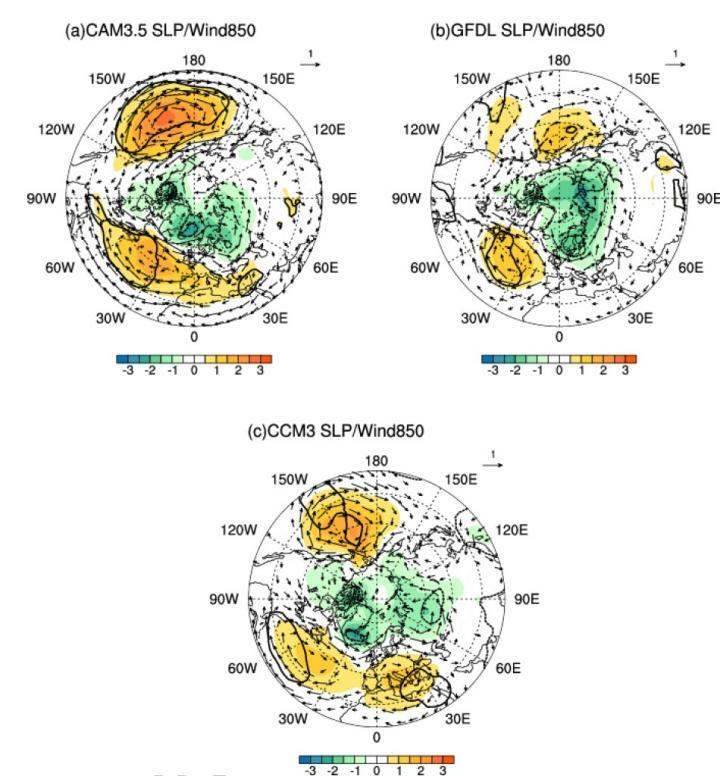 Large-scale patterns of covariability between global oceanic warming and circulation anomalies were investigated based on simulations, and the result was similar to that based on NCEP-NCAR reanalysis data. Specifically, a positive North Atlantic Oscillation anomaly, low-pressure anomalies in northern Eurasia, and a weaker-than-normal East Asian trough are induced by global oceanic warming. "Our results suggest there are warmer winters in Europe and the northern part of East Asia." Concludes HAO. The team also finds that Eurasian climate changes differ slightly among the three models adopted in this study. "The eddy forcing and convective heating in the models may be the reason for their different representations of the response of Eurasian climate." She explains. This work is published in Advances in Atmospheric Sciences.